What will this club do for me? The flying club is designed to give a member access to multiple aircraft at a fixed monthly price. Every airplane is designed around a “mission” such as cross-country flying, backcountry, aerobatic, or training. Very few individuals can afford to own their own airplane, let alone afford to have access to aircraft specializing in multiple missions. 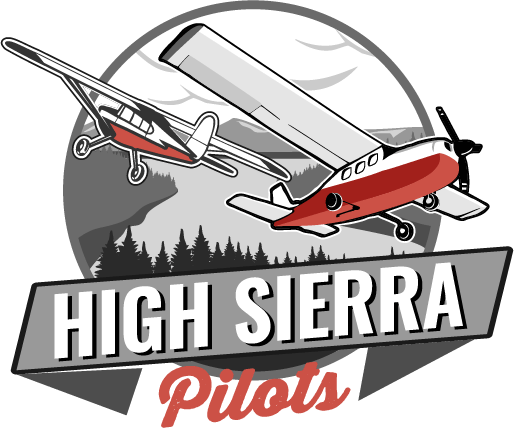 The High Sierra Pilots Flying Club gives a person that level of access at an affordable monthly rate. Joining a flying club also introduces you to many other club members who, like you, love aviation and who fly the same aircraft giving you an instant aviation family. So broaden your aviation experience and join the HSP Club today! Can I fly anytime I want? Yes, you can reserve the airplane whenever you like, night or day, providing you are an appropriately rated pilot current in the conditions you reserve the aircraft for. Additionally, the scheduling software limits each member to three reservations at one time. This restriction can be lifted with a phone call or email to a club officer who can approve longer reservations. The HSP Club has this three reservation restriction to ensure that members have access to the airplanes and that no one member can take up all the availability by over reserving. So, if you have three reservations in the system you would need to fly one of those or cancel one before the scheduler will allow you to reserve another time. Explain Insurance through the HSP Club? However, some membership levels of the HSP (High Sierra Pilots) Club offer you a discounted option of $35/mo, and the highest level of membership includes the cost of your insurance! What aircraft will my membership give me access to? Your membership fee allows you access to all of the clubs aircraft, including aircraft at all of our locations (We are expanding!) 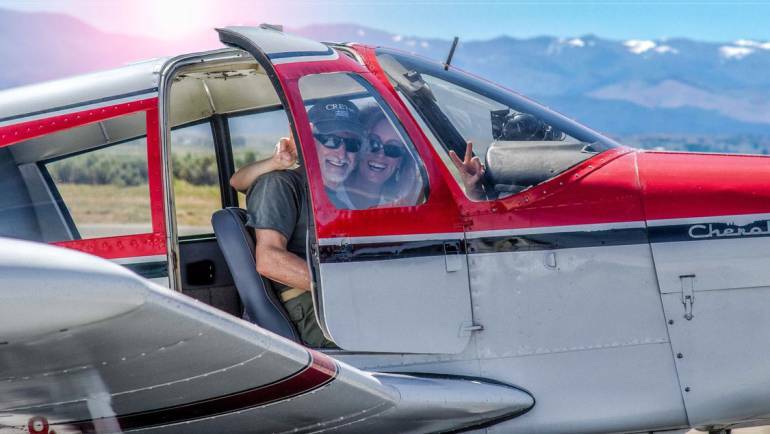 For example, if you are traveling to Jacksonhole Wyoming with your family (in a car) and you are a member in good standing of the HSP Club then you would be allowed to schedule any of our aircraft that you are rated to fly in that location as well. Can I take the aircraft overnight or over a weekend? Yes! It’s one of the joys of having an airplane. To travel to distant and exciting places for a few night or weekend is an incredible experience. Weekends are high demand times for the airplanes and so there is an overnight fee of $50 for those special days. This fee keeps members from scheduling the airplane for a weekend without being absolutely sure they are committed to using it that weekend. This keeps the aircraft available for more members who may just want to fly an airplane on a Saturday morning. Can I earn my Pilot Certificate through the Club? Yes, you can. In fact, we have several student pilots using the Cherokee 160 for their primary training and/or advanced training, such as an Instrument Rating. In fact, it’s vastly cheaper to learn to fly through the flying club; as much as 40% less than going through a traditional flight school. And once you get your certificate, you have instant access to a wonderful array of aircraft! There are several club instructors in the club and more join all the time. You can also bring your own Flight Instructor. As long as you are a member of the club, your instructor does not have to be to teach you. We accept ACH bank transfers, check, Paypal, or credit cards. Unfortunately, we do not accept cash at this time. Do I get a fuel discount through the club? As a member of the HSP Club you enjoy a .30 cent per gallon discount of 100LL fuel from our fueling partner at Hutt Aviation. Hutt runs the fuel truck at KMEV and so you just tell them to fill her up after you land and enjoy lower fuel rates than anyone else gets even lower than what’s offered at the self-fueling station! Why a dry rate instead of a wet rate? The answer is simplicity and accountability. When you go to the airport to fly the airplane it will be full of fuel and ready to preflight and fly. When you are done with the airplane, you gas it up and park it for the next person. Pretty simple. If you are a responsible pilot then you know how to fly the airplane efficiently, leaning for best fuel burn per hour. At HSP we don’t punish you for that by charging a wet rate based on maximum fuel burn. You pay for what you actually use and nothing more. How many reservations can I make at one time? The scheduling software limits each member to three reservations at one time. This restriction can be lifted with a phone call or email to a club officer who can approve longer reservations. So, of you have three reservations in the system you would need to fly one of those or cancel one before the scheduler will allow you to reserve another time. Can I take friends and/or family in the airplane? Of course! Share the joy of aviation with anyone who will go with you. Of course, if you take a passenger in the aircraft and they get sick or otherwise damage the interior of the airplane then you are responsible for cleaning that up immediately. No offense, but we at HSP just don’t want to clean up after you. Empty all trash in the airplane and clean the windows and interior appropriately. Can I rent the airplane(s) without joining the club? You can. Each airplane has a rental fee per hour and that is a wet rate. Currently, the Cherokee 160 is $130/hr wet and the Comanche 250 is $185/hr wet. You will need renter insurance and an aircraft checkout from a club officer authorized to do so. All member reservations take priority over renters so an aircraft rental must be made no more than 48 hours before the planned time of departure and cannot be reserved for a rental any further in advance. We are sorry, but our members come first. What type of club events are there typically? Social events such as BBQ’s and golfing trips, country camping trips, CX trips to Mexico and other destinations as well as educational events like special speakers, ATC facility tours joint activities with EAA Chapters such as the VMC club, and more! It’s very rewarding to be a member fo the HSP Club. We try to limit memberships to 12 pilots per aircraft in the fleet. Every ten new members the club will begin looking into purchasing a new aircraft for the club members. Members discuss and vote on what aircraft will be next in the club. Bottom line: the more we grow the more airplanes we all have to enjoy!